Any film entitled “CALVARY” whose subject is the travails of a good man trying to be a good priest by ministering to challenging people in a difficult time will carry the weight of significant expectations. 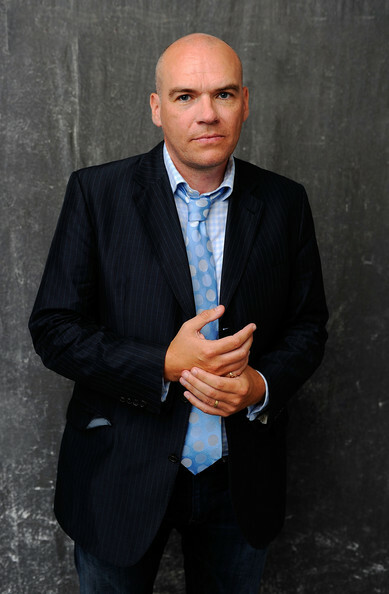 In discussing the title, writer / director John Michael McDonagh speaks to the dual meaning of the word, that Calvary is both the place where Christ was crucified as well as a burden one must bear or a difficult time one must endure. “CALVARY” carries such weight and shares the burden of both meanings with the audience. 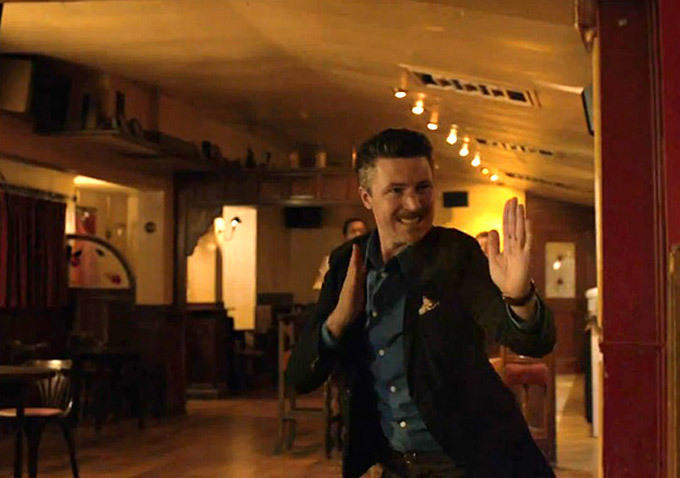 With a cast of small town, quirky Irish characters and exceptionally witty dialogue there is a significant comedic component to the film, but it is by no means a comedy or even a dark comedy. “Calvary” is a heavy film that examines life, faith, discipleship, community and the Church in a compelling, thought provoking way. 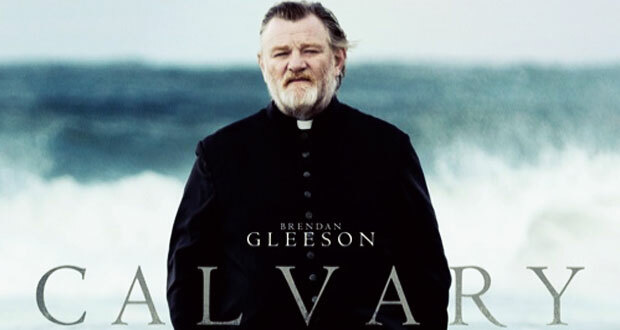 The film pulls the viewer in and shares the weight in the first seconds of the pre-credits opening scene when a Roman Catholic priest, Father James (Brendan Gleeson), discovers during confession that one of his flock was sexually abused for 5 years by a now diseased priest, and that person will exact revenge by murdering Father James in one week. The voice states that he is killing Father James, not because he is a bad priest but because he is a good priest, and his death will make bigger news. Growing up as a PK, I shared with my minister father my method of rating sermons was how long one remembered them. Hopefully they were at least parking lot sermons, and preferably lunch or even dinner sermons, meaning one at least got out of the Church or to lunch before they faded from thought. Especially good sermons were overnighters where one thought about them that night or even longer. Because of the weighty subject, hauntingly beautiful photography, a supremely textured script, and impeccable acting performances, “Calvary” is not only an overnighter, but an all-nighter. The first of the major themes is the state of the Church. Set in Ireland amidst the sexual abuse scandals that have rocked the Roman Catholic Church there, the film projects the impact of the scandal. The Church is seen by many there as feckless at best, and at worst a hypocritical, greedy institution whose sole concern is for increasing its wealth, status, and control of others. This range of attitudes is reflected in the various persons of the small town where the film is set. The town’s people unload their feelings that range from cautious skepticism, to mildly veiled hostility. All the characters are shown receiving the Eucharist at the beginning of the film, however this scene is used more to introduce the characters rather than indicate a level of faith or religiosity. The true feelings of the people towards the institution and perhaps God are displayed in their treatment of the Father James which range from cynical sparring to the ultimate threat of physical harm depicted in the opening scene. 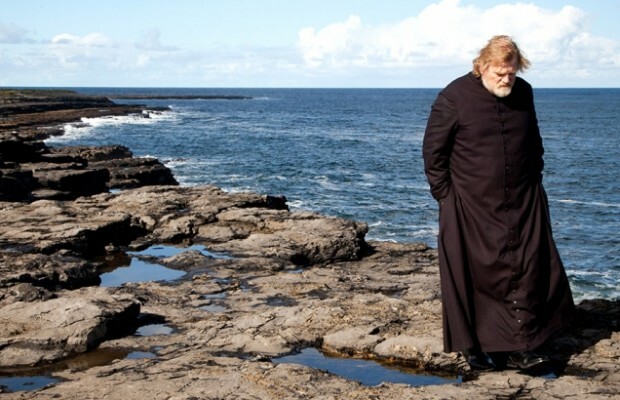 While “CALVARY” is located in Ireland during the post-sexual abuse scandal of the Roman Catholic Church, it does not have an anti-Catholic feel, and does have a word to say to the greater Church. Even for the protestant church in another country, “CALVARY” is a canary in the coalmine, a harbinger of the impact of becoming irrelevant. Whether disconnect comes as the result of scandal, schism, in-fighting or any other sense of detachment, the people whom the church serves will reject and turn against the mission of the Church when there is a perceived countenance of hypocrisy, when the walk of the church is misaligned with its Word. Father James, and through him the audience, realizes in his Gethsemane moment, when he must decide to flee or face the danger, that the worst thing is not the antagonism of those hurt by the failure of a person or the institution; rather it is the complete loss of an awareness of what is right and proper, holy and unholy. It is worse when someone is “un-respectful” or unaware than those who are purposely disrespectful and combative. If the church surrenders its place and mission, antagonism and hostility toward it will cease but the individuals and society will be much worse off. Though not a lawyer in the 1930’s American South, Father James walks in the same shoes as Atticus Finch in “To Kill A Mockingbird.” James is caught in the middle of upholding what is right against the onslaught of a community who rejects righteousness and rejects him for striving for righteousness, which holds them accountable for their failure. He also refuses to compromise to those who would buy out his integrity, and their guilt, through significant financial gifts. Like Atticus, James sees not just the actions of his antagonists, but the humanity behind their pain fueled actions. Even though they belittle, oppose, and threaten him, he knows they need him and the ministry Christ called him to offer. It is this nature of ordained ministry that is a second major theme. Writer/director John Michael McDonagh captures the prophetic weight of ordained ministry. Journeying with people during their difficult times, opening oneself to experience suffering through the travails of others is sharing the weight of their brokenness and that of the world. Most clergy know this is part of accepting the call to ordained ministry. When, in addition, one must share the added weight of anger, fear, resentment of the people projected on the Church or God, and perhaps the failure of the institutional church to provide support, the weight becomes cavalry, a burden that when not processed grinds and wears the bearer down. Given the title and subject it is obvious that Fr. James is a figure of Christ, and as the film is set from one Sunday through the next, James’s experiences will reflect some of the experiences of Jesus during his last week. Gleeson’s masterfully nuanced performance reflects the growing weight and burden Father James takes on as he carries the cross through the course of the film, his holy week. 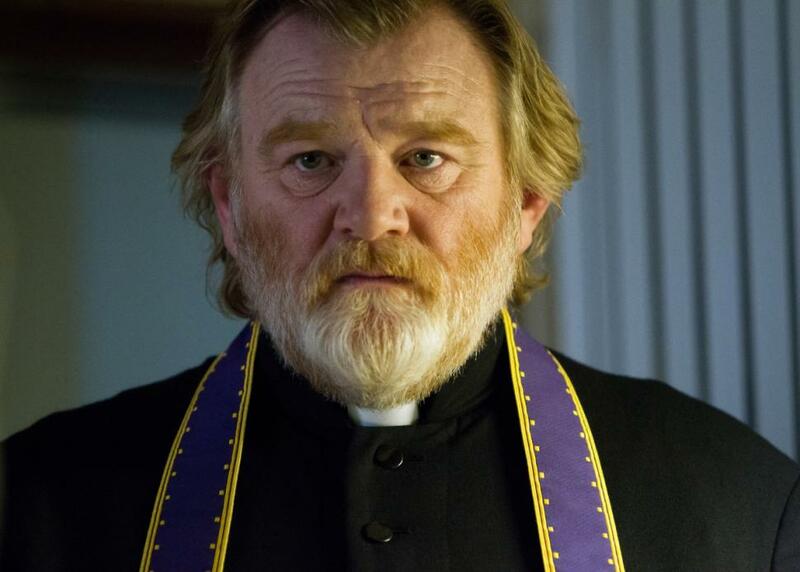 “CALVARY” is a very good film. It is a film that captures the realities of a world that is fallen and rejects the very faith it needs and it shows the challenges of faithfully ministering to those burdened by the brokenness of sin. “Calvary” is rated “R” for adult language and content and one instance of graphic violence. This entry was posted in Faith Shots, Film Shots and tagged Brendan Gleeson, Calvary, Calvary Film, carrying the cross, faith and film, Film Review Calvary, Fox Searchlight, Irish Catholic church, Irish films, John Michael McDonagh, ministry, Ordained Ministry, prophetic ministry, Roman Catholic Church, theology. Bookmark the permalink. Pingback: Film Reveiw: “CALVARY” | "Scattershooting"
The scene of the daughter at the end, serene and ready to share forgiveness and the hope she has found, is our story, too- must be our story. That there was no dialogue causes us (me) to examine what I must say/do/be. It was as powerful a movie for me as what was for me the previous “most powerful” movie about Christ in the world now- Priest. I haven’t stopped thinking about it since yesterday, and will endorse it today from the pulpit.